My husband said to me the other day “why don’t you listen to fun podcasts”. Which I though was pretty funny as I was telling him about the latest Rachel Hollis podcast and how I was going to do her 5 to thrive for 30 days (drink more water, get up an hour early type stuff). 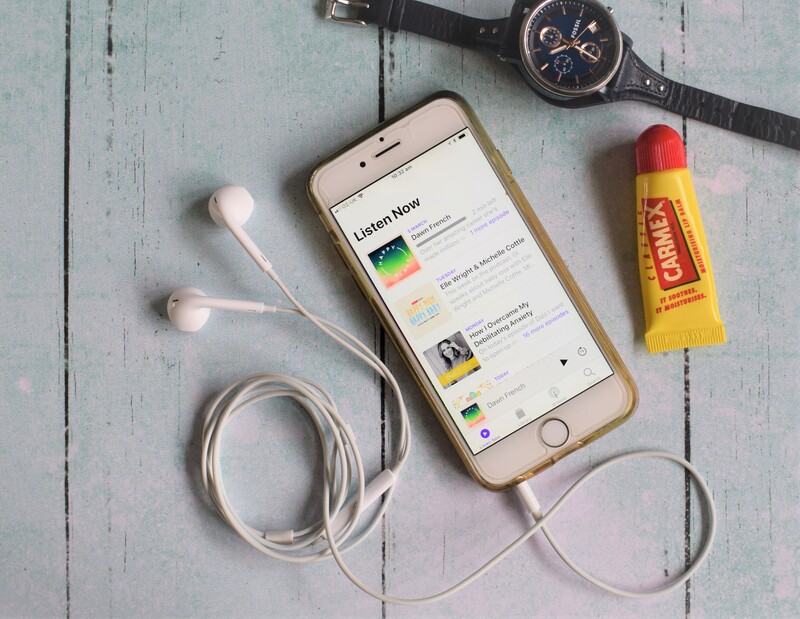 I love the podcasts I listen to though and to me although lots are business related I do find they really enjoyable. I love learning so if I can do that while I’m on the way to a job or walking my daughter to sleep for her nap then that is a total win for me. I have just added a few more to my list but if you a working mum like me (esp. if you run your own business) then maybe you’ll like some of these as well. Ctrl Alt Delete with Emma Gannon – she interviews people who work mainly online. I find her interview really interesting and great selection of guests. DAIS with Rachel Hollis – She runs a media company in LA and I found her via Facebook back when she ran an events company. As she would say he is a Hustler and although our lives are a million miles apart she has some great tips for getting stuff done that resonate with me. Happy Mum Happy Baby with Giovanna Fletcher – She is so down to earth and feels like a friend next door so it’s fun to hear about how she deals with motherhood and she has some lovely guests who all have different options and ways they have dealt with it. The Scummy Mummies with Ellie Gibson and Helen Thorn – These two got me though night feeds and make me laugh. Need I say more! The Slow Home Podcast with Brooke & Ben – This is a new one to me but I’m really enjoying it so far. I’m the type of person who need reminds of how to make my life more resemble the life I want. They interview lots of different people on all aspects of Slow Living and it has opened up a new way of doing stuff for me. Hashtag Authentic with Sara Tasker – Another more online / work one but great subjects and really interesting people. Nice and relaxed but full of info. Happy Place with Fearne Cotton – this is very new one to me and the first i have listend to is Fearne chatting to Dawn French, who i LOVE (who doesnt) so it’s really good so far. Relaxed, intesting to see how she finds her happy.